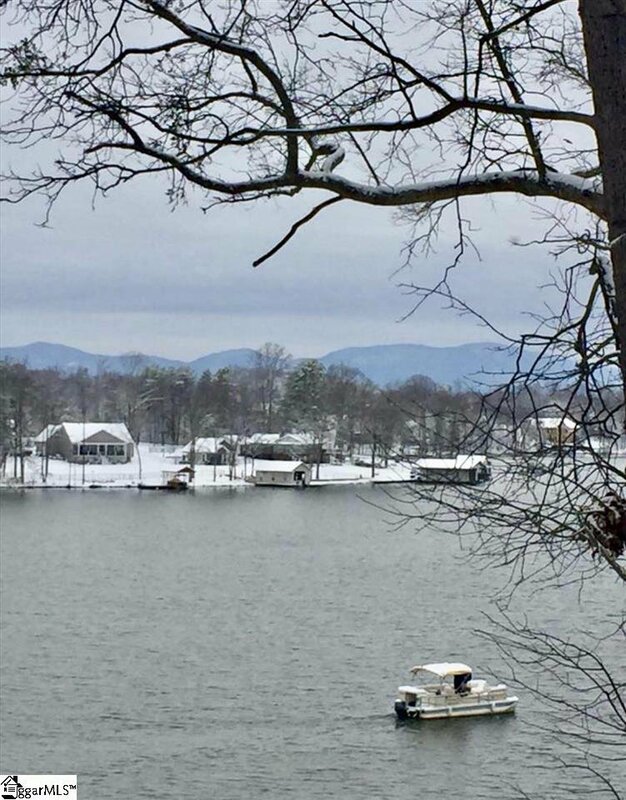 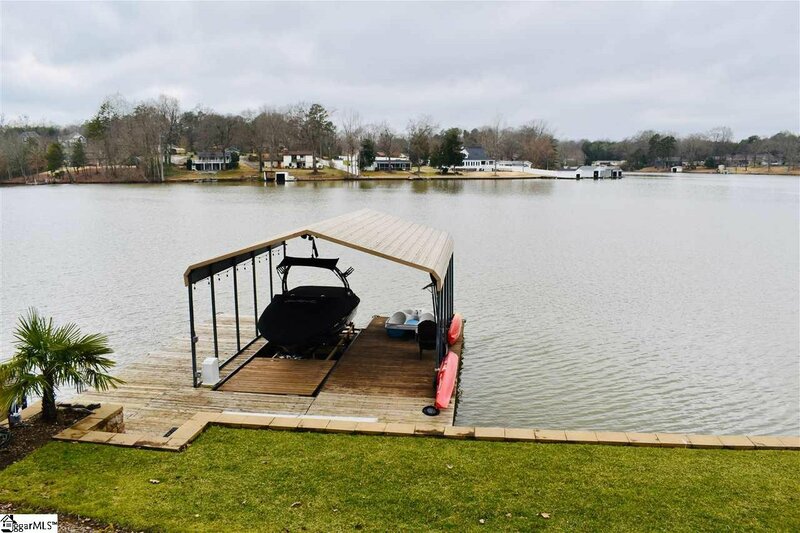 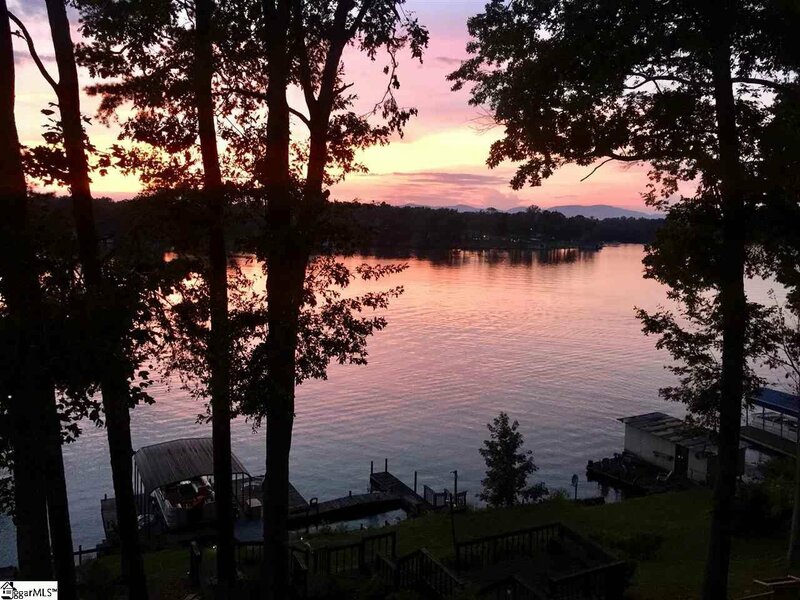 Stunning Waterfront home on Lyman Lake with Amazing Mountain & Water Views, Deep Water, Covered Dock with Boat Lift, 3 Bedrooms, 2 Full Baths, 2 Half Baths & New Storage Building/Workshop with power! 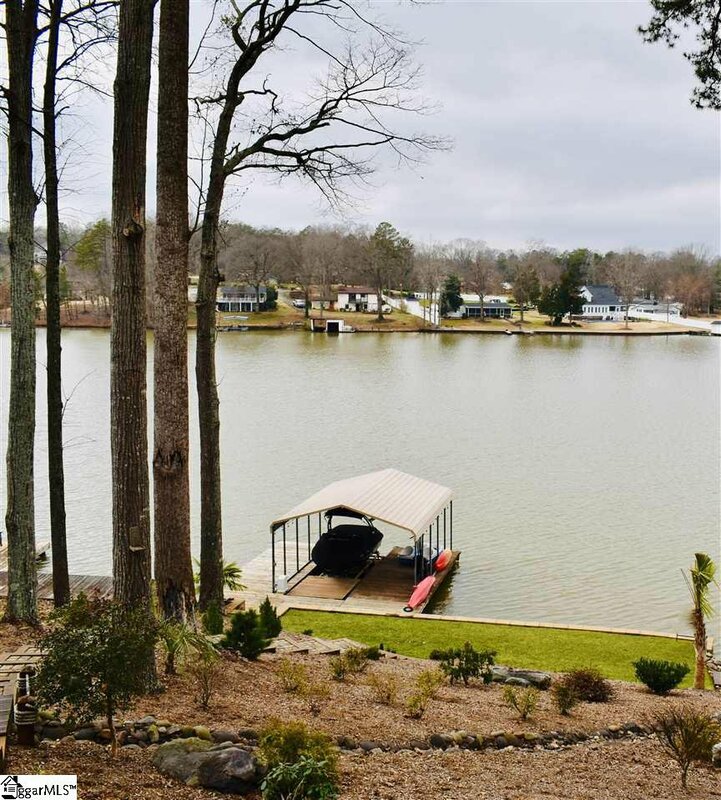 Truly better than new with many updates including the recently finished Great Room & Bar in walkout basement that opens to a waterfront oasis with a covered patio and huge deck. 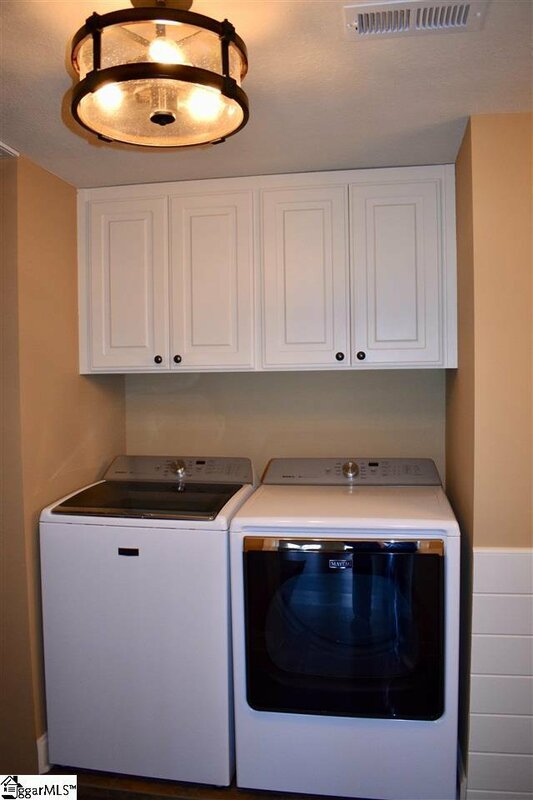 Main floor Living, Dining and Kitchen area has open concept, gorgeous panoramic views & half bath for convenience. 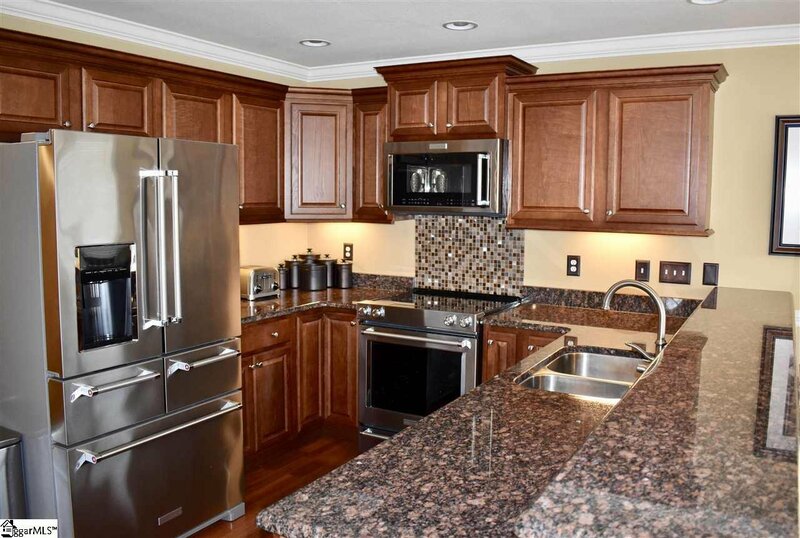 Kitchen has granite countertops, newly upgraded stainless appliances & great bar seating. 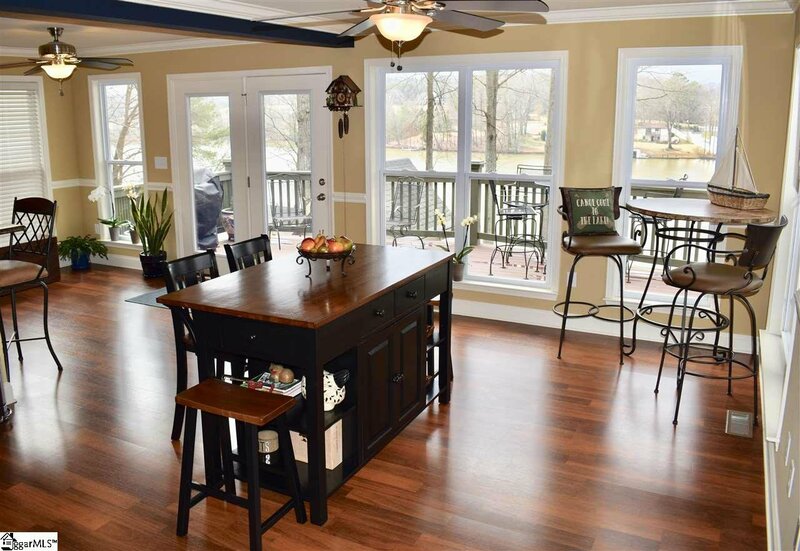 This main floor living area opens to the upper deck with Lake views, additional dining & entertaining space. 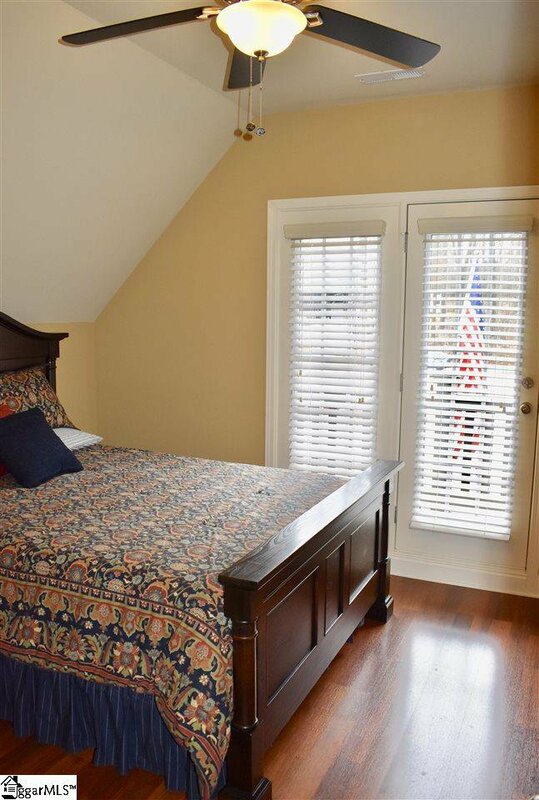 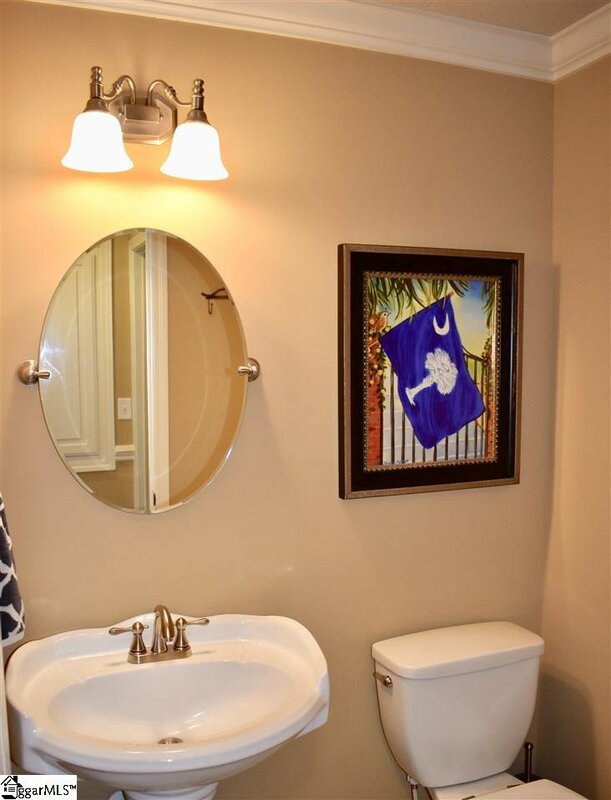 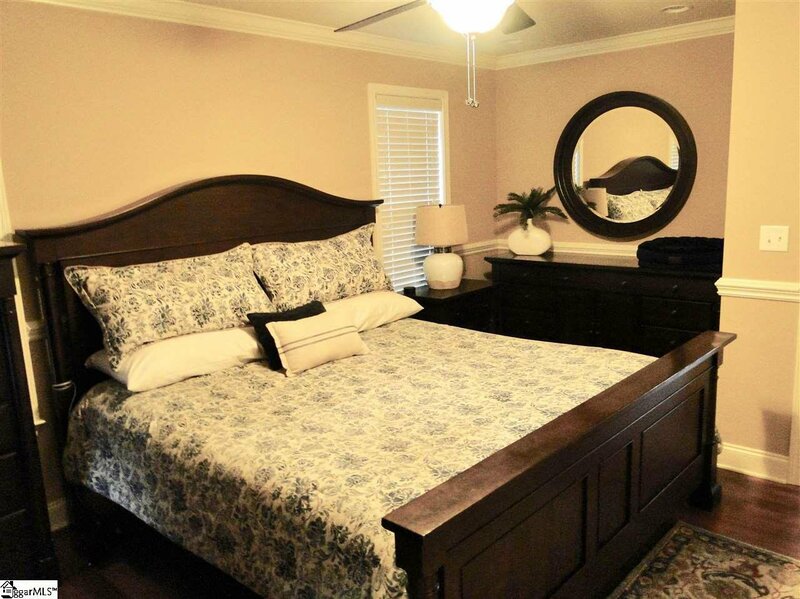 Main level Master Bedroom has private porch, double vanity, large shower and walk-in closet. 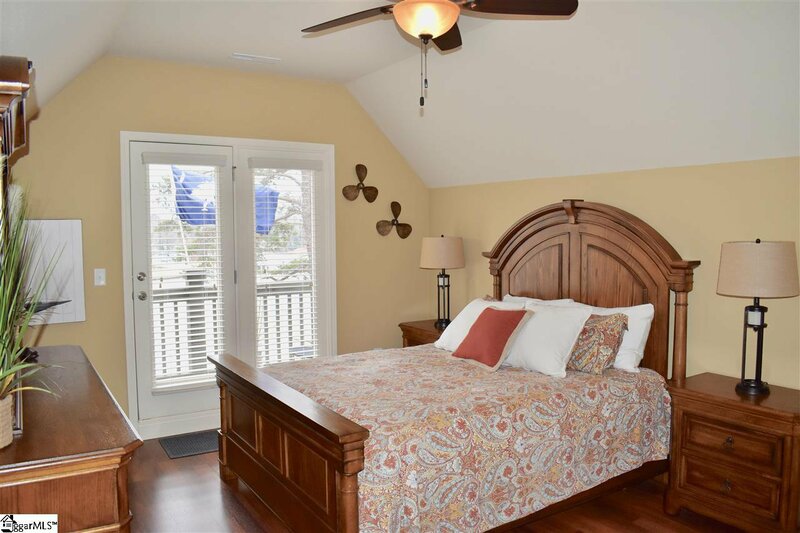 2 additional bedrooms are upstairs - each have private balconies and ceiling fans. 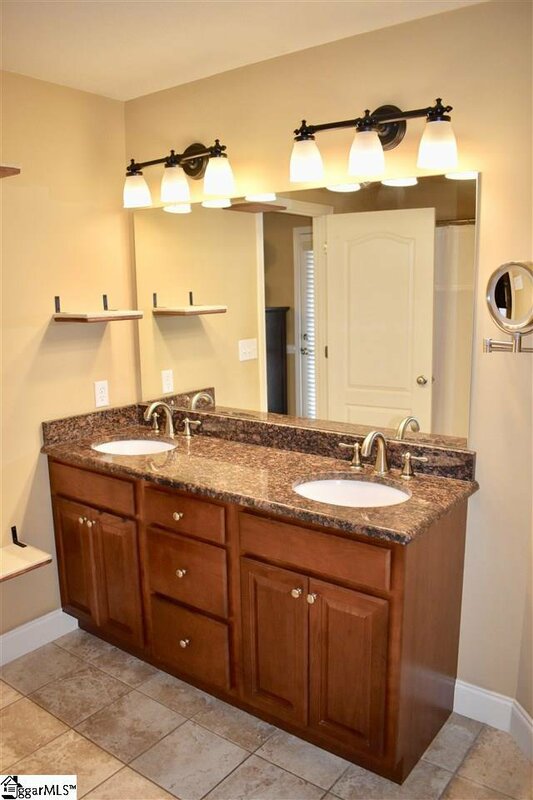 2nd level also has full bath, office area and hall closets for additional storage. 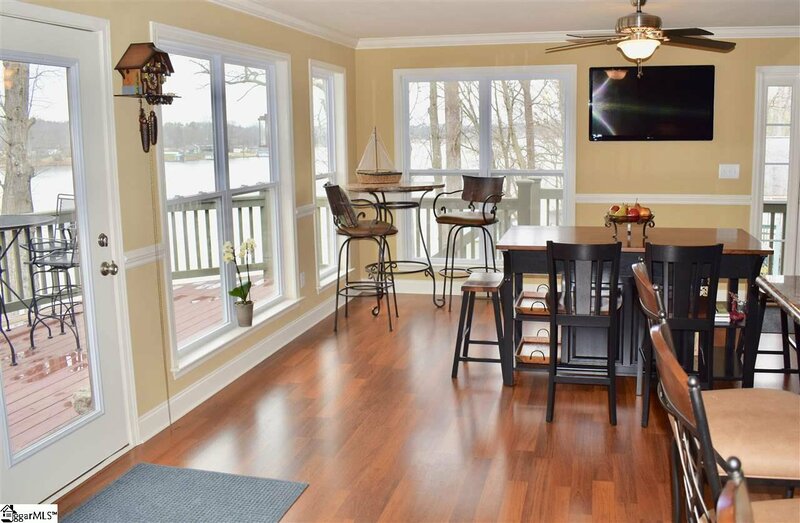 Lower level also has fantastic lake views from the Great Room which is already set up for easy entertaining! 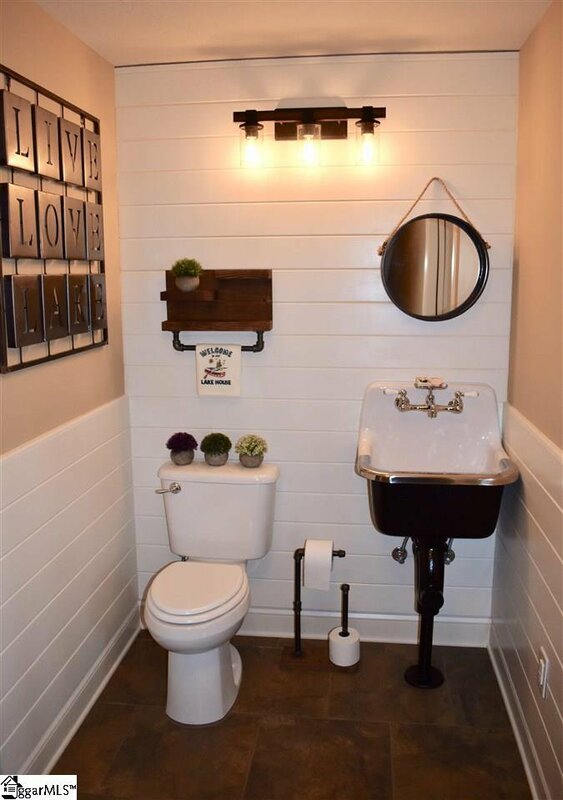 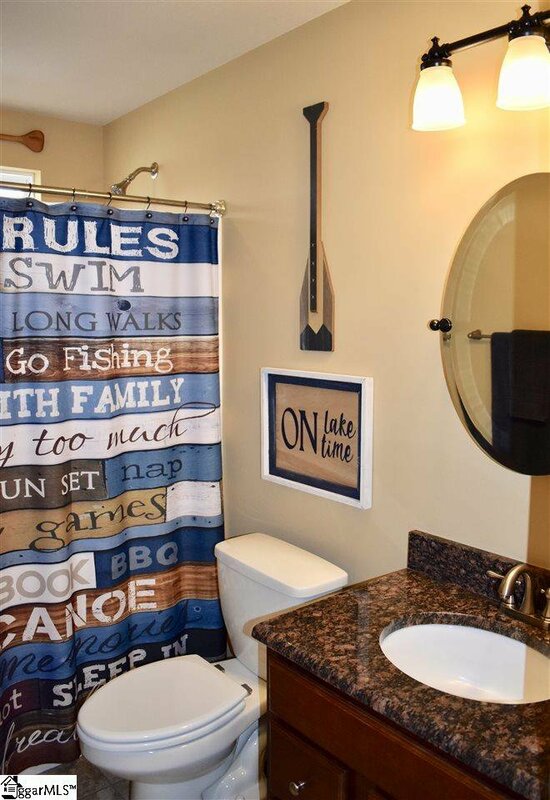 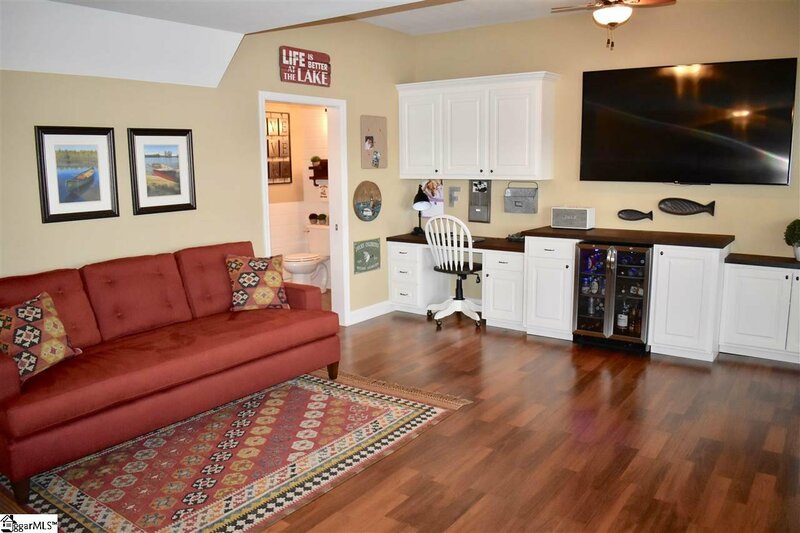 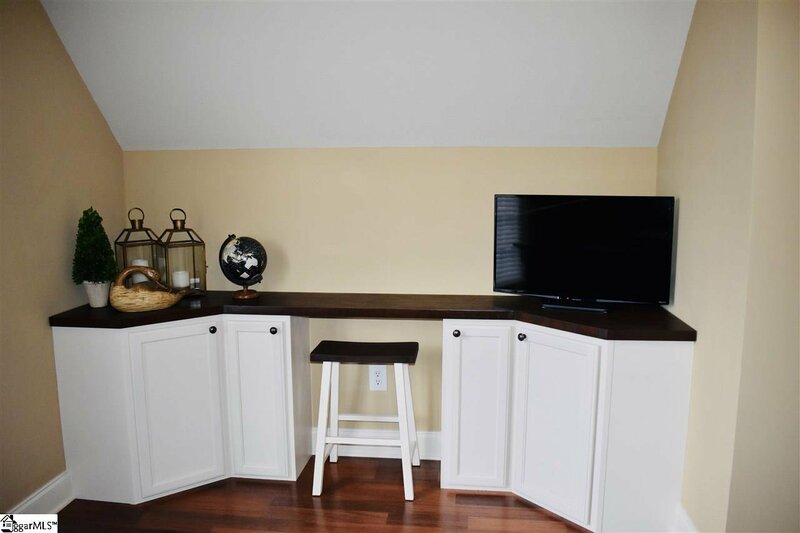 This fun space has a bar with built-in wine refrigerator, plenty of serving space & cabinets for storage, large area for seating or a pool table, as well as a half bath & changing room for lake guests. 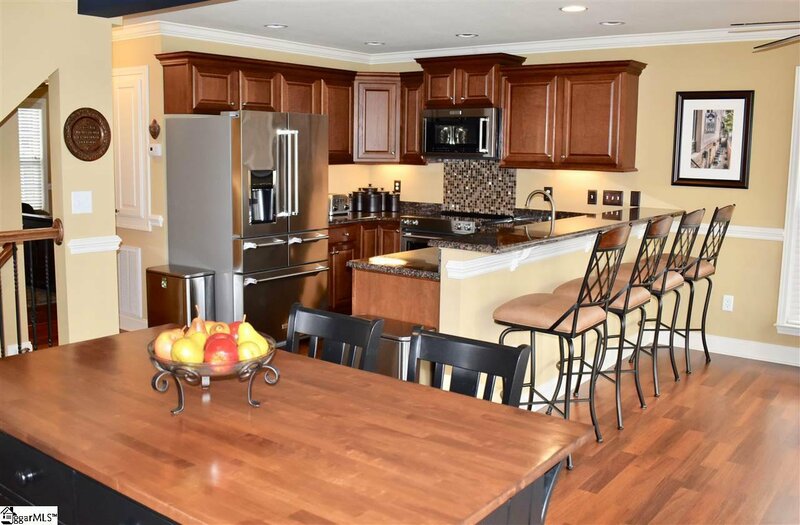 Walk out to the covered patio with open space for additional seating, dining and grilling. 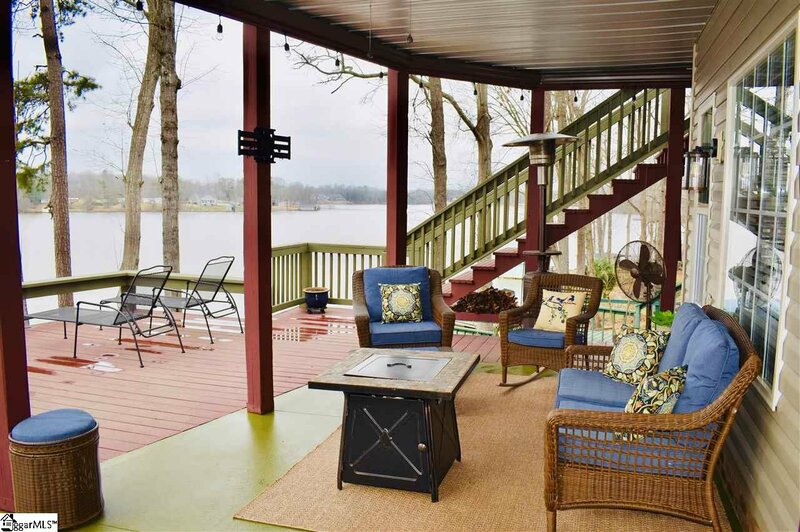 This patio extends to a large deck for sunning by the lake. 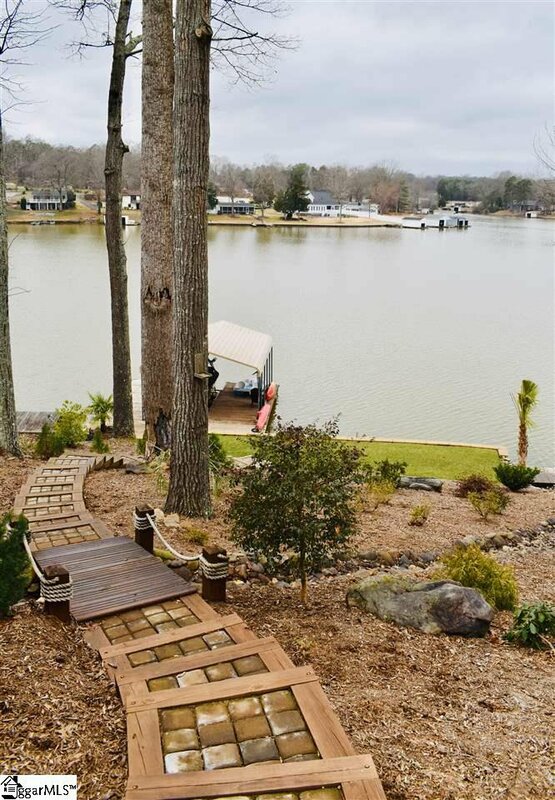 A new custom stone walkway with beautiful landscaping leads from the deck to the Covered Dock with Boat Lift and lakefront green space. 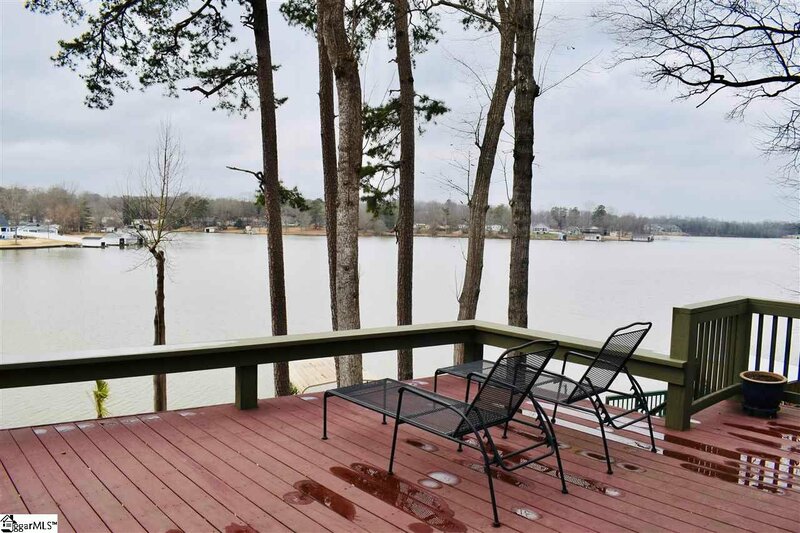 Seller had new Seawall installed as well as extensive landscaping for beauty and privacy. 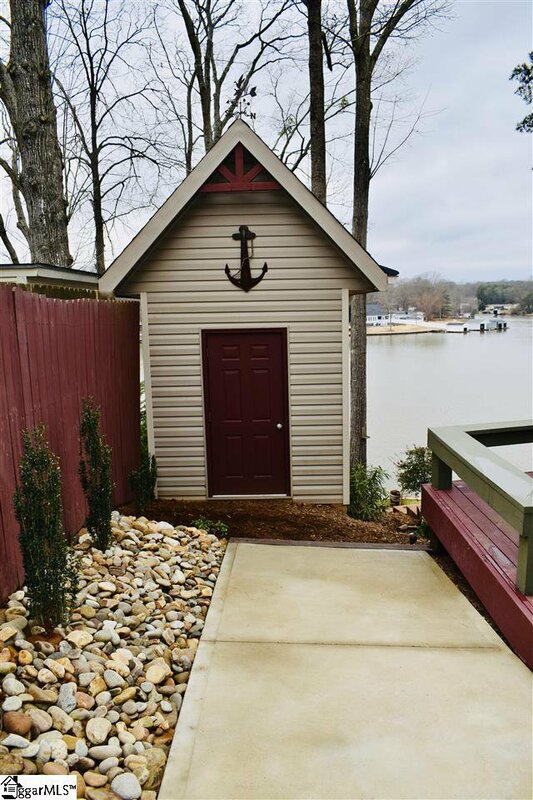 A paved walkway extends from the expanded driveway to the covered patio & fantastic new storage building/workshop with power that coordinates beautifully with the house and landscape. 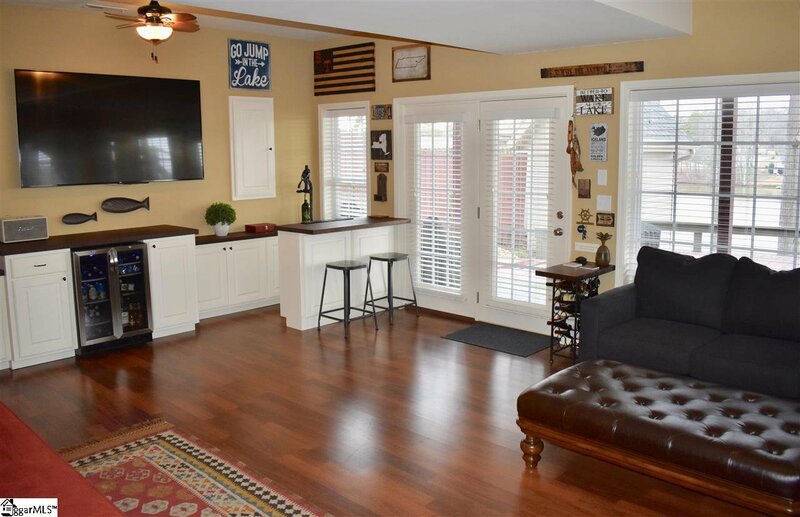 Additional storage room in the basement is nicely floored and is currently being used as exercise room, workshop & mancave. 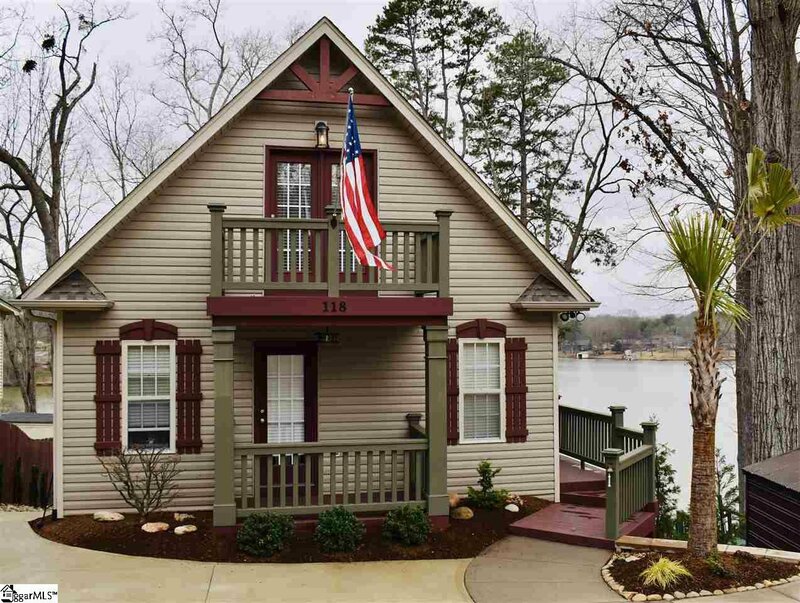 This home has been transformed from basic new construction to a Custom Lakefront Paradise! 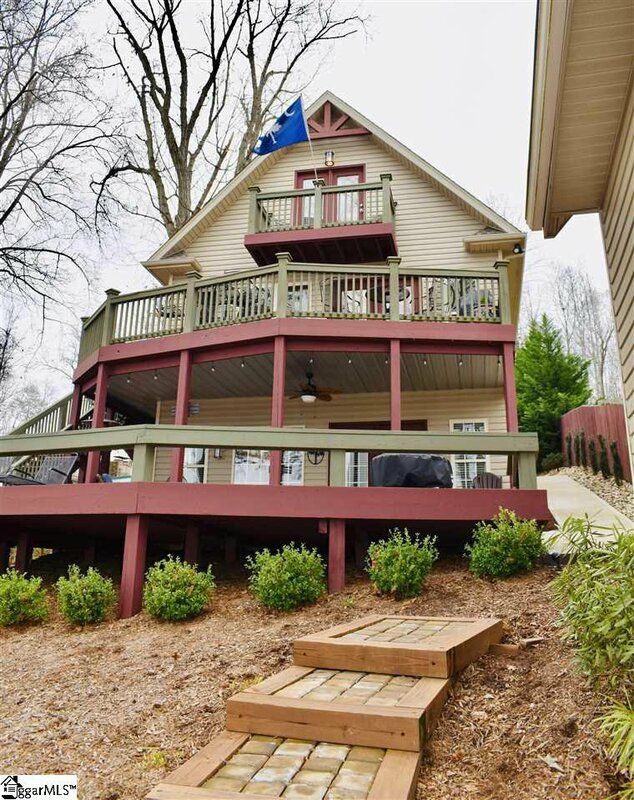 Listing courtesy of BHHS C Dan Joyner - Greer.